With President Xi Jinping coming into power in 2013 in China, the multifaceted cooperation between Nepal and China has been further deepened in several areas, taking their bilateral ties to a new height. Nepal and China have strengthened their wide-ranging cooperation on various areas including economic, political, social, and contacts in recent years. The two close Asian neighbors established diplomatic relations back in 1955. Since then, China has provided incessant support unconditionally in Nepal’s socio-economic endeavors in various ways. Nepal joined the Belt and Road Initiative (BRI) on May 12, 2017, and has made high-level representations in the Belt and Road Forum for International Cooperation held in Beijing two days later, marking a new era in its profound bilateral cooperation with China. Δ Yu Hong, Chinese Ambassador to Nepal and Shanker Das Bairagi, foreign secretary of Nepal, on behalf of their governments, signed a BRI cooperation memorandum in Katmandu, Nepal on May 12, 2017. Apart from diversifying its trade with China, Nepal has made several efforts to join hands with its northern neighbor. The defense partnership between the two countries has also gained significant momentum in recent times. In April 2017, Nepal and China held their first-ever joint military exercise with a special focus on combating terrorists in Kathmandu despite the pressure from India and the U.S. The joint exercise poised to open a new avenue of defense diplomacy between the two militaries. The second round of military exercise between Nepal and China will take place in September, according to the Nepali Army sources. Nepal’s military exercise with China has drawn a positive response in Nepal, although a portion of Indian media and intellectuals showed some signs of jitteriness. However, the fact is that Nepal is free to conduct any kind of military exercise with the nation that it has established diplomatic ties. Given the growing inter-connectedness and inter-dependence in this multi-polar world, Nepal has been firmly supporting the concept of globalization. At the current moment, Nepal has high hopes that cooperation under the BRI would be pivotal for it to become connected with rest of the world via China for overland and maritime trade. 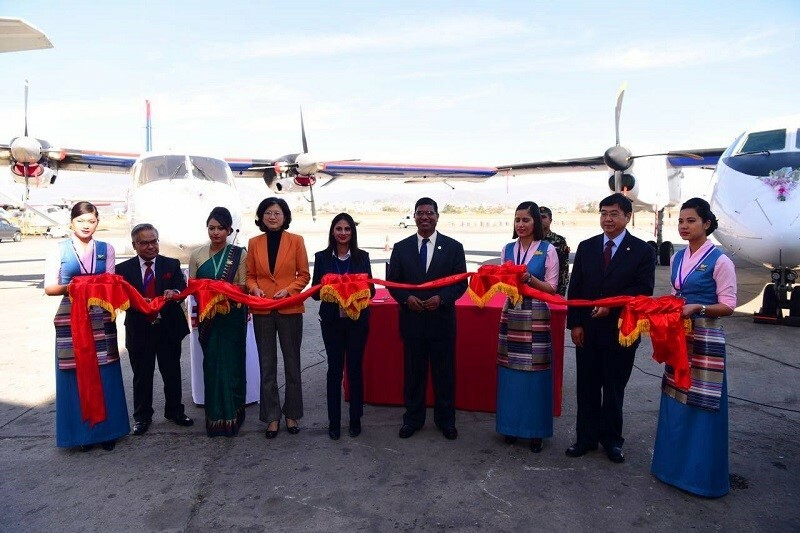 Δ China Aviation Industry Corporation delivered two domestic civil aircrafts – Xian MA60 and Y-12E – to Nepal Airlines on February 8, 2017. The cooperation under the BRI framework between Nepal and China could be beneficial not only for the two countries but also for promoting the China-South Asia cooperation, as Nepal aspires to become a natural conduit between China and India. 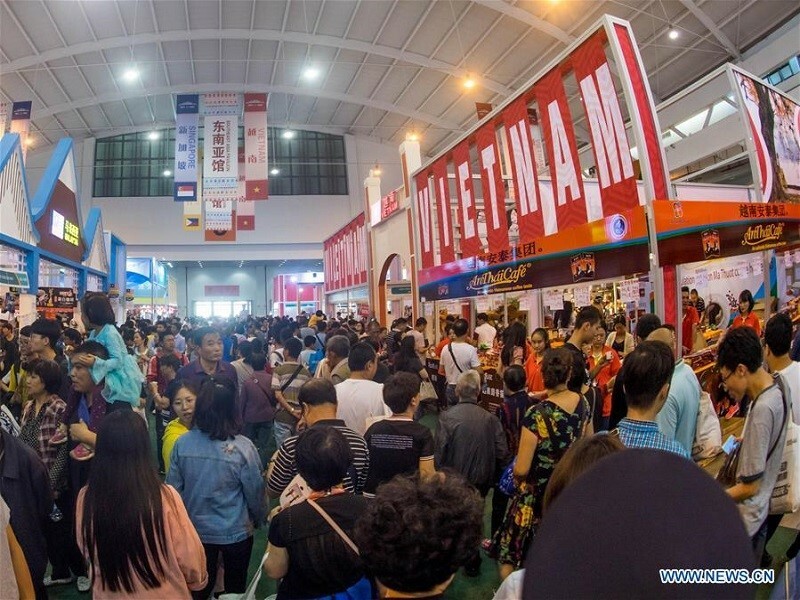 Δ People visit the 5th China-South Asia Expo (CSA Expo) in Kunming, capital of southwest China’s Yunnan Province, June 18, 2018. The 5th CSA Expo and the 25th China Kunming Import and Export Commodities Fair is held here on June 14-20. Nepal has immense potential to become a vibrant trading point between China and India, thereby promoting the trilateral cooperation between the three countries. In this context, India should join and actively participate in the BRI thus promoting deeper economic cooperation in the South Asia region through enhanced connectivity. Amid improving China-India ties in the post-Wuhan Informal Summit between the Chinese President Xi Jinping and the Indian Prime Minister Narendra Modi in April 2018, the two Asian giants can work together in Nepal in many aspects irrespective of their own special features in their ties with Nepal. With more than 100 countries and international organizations already becoming the partner of the Belt and Road Initiative, it is expected to be a major tool for optimizing the process of economic globalization amidst uncertainties and protectionist approach adopted by the Trump Administration. 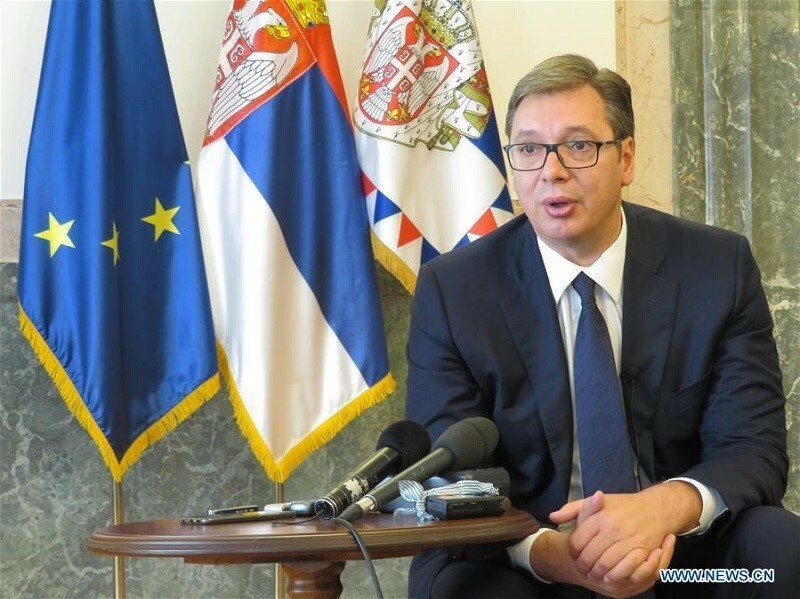 Δ Serbian President Aleksandar Vucic speaks during an interview by the Chinese media in Belgrade, Serbia, on Aug. 6, 2018. The China-proposed Belt and Road Initiative (BRI) is promoting global stability by connecting different countries, cultures and peoples spiritually and materialistically, Vucic said here Monday. The BRI advocates for safeguarding the international order based on multilateralism, aiming at achieving common development and prosperity in all countries. The less developed countries and developing countries can greatly benefit from the initiative as it puts a huge emphasis on the philosophy of peace, cooperation, inclusion, and openness among its partner countries. The partner countries along the Silk Roads will benefit immensely as they get connected with the global industrial chain while embracing the principle of extensive consultation, joint contribution, and shared benefits. Amid uncertainties in the global economy due to protectionist policies pushed by the U.S., the BRI can emerge as the broadest platform for international cooperation in line with the trend of economic globalization. Hence, the BRI could be regarded as a remedy to anti-globalization and protectionism. Now, it is a high time for Nepal to negotiate with China for the financing modalities of the projects on road connectivity, railway connectivity, hydropower and transmission lines, among others under the BRI framework. The two sides should synergize each other’s development planning, formulate appropriate bilateral cooperation programs and carry out major projects under the BRI. The Nepali Prime Minister K.P. Sharma Oli vowed to enhance the cooperation with China under the framework of the BRI when he paid an official visit to Beijing in June 2018. The joint communiqué issued during the visit to Beijing states that the two sides have agreed to intensify the implementation of the Memorandum of Understanding on Cooperation under the BRI to enhance connectivity, encompassing vital components such as ports, roads, railways, aviation and communications within the overarching framework of trans-Himalayan Multi-Dimensional Connectivity Network. Δ The Nepali Prime Minister K.P. 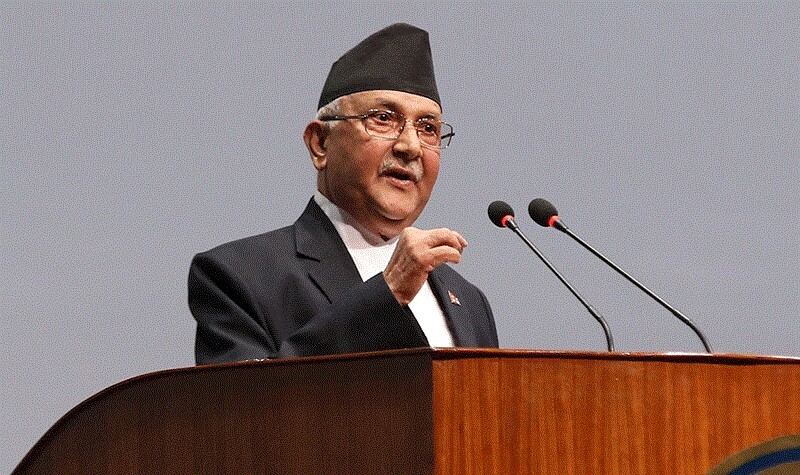 Sharma Oli vowed to enhance the cooperation with China under the framework of the BRI. In addition to signing a slew of agreements during the prime ministerial visit, Nepal and China have signed a landmark deal on cooperation for railway connectivity under the framework of BRI, underscoring the fact that the cross-border connectivity is the most significant initiative in the history of their bilateral cooperation. As China and Nepal are agreeing to expand the Qinghai-Tibet railway to Kathmandu in the next couple of years, many believe that it could become a game changer for Nepal’s socio-economic development by enhancing trade and connectivity. Nepal and China are now negotiating to carry out a feasibility study on the Free Trade Agreement under the BRI framework. In this way, the bilateral cooperation between China and Nepal has moved ahead steadily into wide-ranging areas in recent years despite some occasional hiccups. The political instability in Nepal also brought some setbacks in the bilateral ties between Nepal and China. One such case was when Nepal scrapped the bidding of the 1200-megawatt Budhigandaki hydropower project last year, which was initially awarded to a Chinese company in 2016. However, the new Oli-led dispensation has indicated that the project would be again awarded to the same Chinese company. As for now, people hope that the unstable politics will not affect the country’s socio-economic growth and foreign policy conduct. 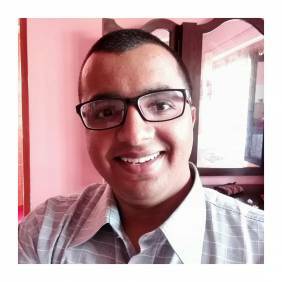 Santosh Ghimire is a Kathmandu-based journalist, having worked in local media for over 10 years. He often writes on foreign affairs. Kathmandu-based Special Correspondent of Republica Daily, having worked in local media for over 10 years. He often writes on foreign affairs.